Elected to represent the 14th Congressional District! 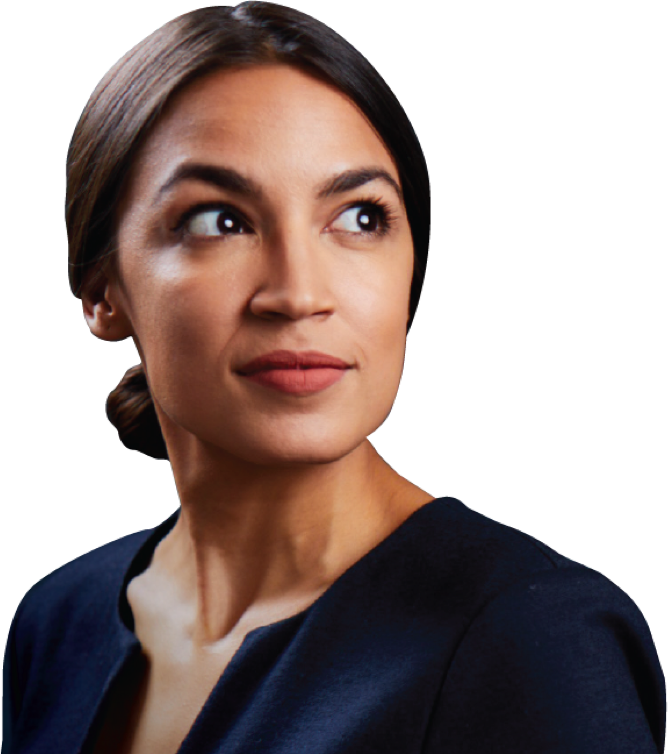 Interesting story about some of the challenges facing Ocasio-Cortez -- and the hopes people have pinned to her -- as she prepares to head to Washington. I hope she cools her pie-eyed communist worldview a bit and works to defuse the escalating schism these two political parties are driving our country towards. She gave me very little reason to vote for her, but any change has the potential to be good change. i hope she's at the leading edge of the formation that will drive the fascists into the dirt. you don't negotiate with fascists. you destroy them. I expect she will represent the district's interests and priorities exceptionally well in Washington, and will continue to bring people together as she has done so far. She did an amazing job starting from zero here in Queens and building a successful forward-looking coalition. Well to be fair, our new representative is a self-avowed Democratic-Socialist, so it seems to be on-topic to at least some degree. Further since she isn't in office yet and hasn't had the ability to do anything yet, all we can talk about are our hopes for her based on her rhetoric to this point. I'd be happy to give up some war and corporate welfare as well, I'm just saying (from a realist point of view) that isn't going to be happening. So are you willing to pay even more out of your own pocket for this universal healthcare program? Some might be willing to. I am not willing to. She wasn't voted to do that. Speaking of schisms all you have to go to Congressman Dan Crenshaw's page and see his dribble. you think he was a Proudboy. This " schism" was brought about by republicans ( the facists Trumpsters). You already outed yourself out when you wrote " she gave you little reason to vote for her" so you voted for the hack? It takes two to tango. I see very little hope for this country if the two sides can't abandon their dogma and try to find some common ground from which to at least start a conversation. We don't need any more politicians, what we need are some statesmen/women who will put their country ahead of reelection, partisan politics, and the usual collection of stupidity that passes for government these days. At this point I honestly wonder if the best way forward is schism, perhaps there are really far too many differences than there are commonalities to keep the nation together as one. I find this article disturbing. I don't believe in litmus tests--on election night as I rooted for democrats, I didn't expect every candidate would check every box. I just wanted to win. To read that our Congresswoman-elect has targeted Hakeem Jeffries for defeat, is ridiculous. Can she just take her seat and concentrate on serving our community and stopping the Trump agenda. I had hoped that she would be a breath of fresh air, but to declare war on a solid, intelligent representative like Jeffries is just plain wrong. I hope that the article is wrong, but if it's not, then I think our representative is getting too caught up in her own press. "To read that our Congresswoman-elect has targeted Hakeem Jeffries for defeat, is ridiculous"
Fortunately she agrees with you. Parsing her denial, it looks like there are just some typical backroom debates going on that Politico is trying to make more of than actually exist. Her tweet attacks the reporting--no named or verifiable source--but what about just saying "I am not involved in any plan to primary Hakeem Jeffries." Just read this and was about to post it here. I typically HATE these kind of think pieces but, this one makes a very valid point. Well worth reading.